Jean H. Baker, Arthur M. Schlesinger Jr.
My main goal is to introduce you to both the ideas and the methods of data visualization in a sensible, comprehensible, reproducible way. Well, mission accomplished. 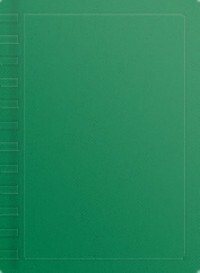 The book is at once enormously readable, and sufficiently technically detailed as to make it easy to implement the principles introduced. The book itself is also beautifully designed. The use of figures and margin notes give you a sense of being guided through the ideas rather than just being told what they are. I've had lots of fun going back to some of my own visualizations made with R and ggplot2 and improving them based on what I learned here. I absolutely recommend this to beginners and experts alike. 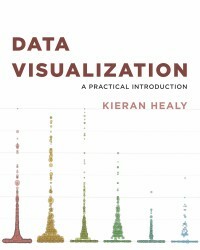 Healy gives you everything you'd need to know if you're starting from scratch, but in such a way as to not slow things down for the more experienced reader. For that reason, it would also make a great book for a course on applied use of R.
This book is fascinating, and totally worth reading. It deserves a real review, but, for now, I'll just communicate my feelings in GIF form. Funny stuff. 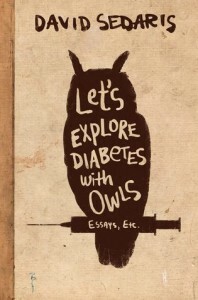 Definitely more "classic Sedaris" than [b:Squirrel Seeks Chipmunk: A Modest Bestiary|7857195|Squirrel Seeks Chipmunk A Modest Bestiary|David Sedaris|https://images.gr-assets.com/books/1279831428s/7857195.jpg|10995406], but not in my top two or three of his books. As always, I prefer to listen to him read aloud. Paralipsis is the practice of mentioning that you’re not mentioning something, and saying what you’re not saying (p. 234). The technical term for a dishonest politician is a snollygoster. Well, all right, it may not be the technical term, but it is the best one. The OED defines snollygoster as ‘A shrewd, unprincipled person, esp. a politician’ (p. 9). Ultracrepidarianism is ‘giving opinions on subjects that you know nothing about’, and is thus a terribly useful word (p. 59). 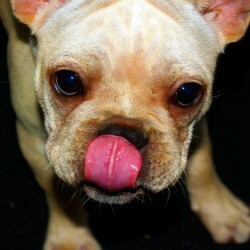 Meh! It probably deserves 2.5 stars, but the whole affair just felt kind of wishy-washy— a mix of introducing lay-engineering terminology, and anecdotal narratives. I'd give it a 3-star rating, were it not for the fact that the author commits what, in my mind, is a cardinal sin. It's not PIN number! The acronym P-I-N stands for “personal identification number” (which is even mentioned in the book), so PIN number is ‘personal identification number number’. This is somewhat forgivable with an acronym, but he then goes on to do the same thing with an initialism, ATM machine, which is out-and-out enraging. Again, he's repeating a word that's part of the initialism: “automated teller machine.” And this is in a section about the advent of the ATM— so, no excuses. 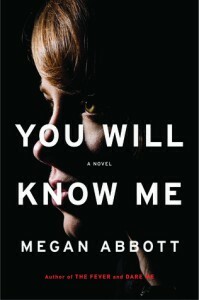 This book is so very [a:Megan Abbott|29593|Megan Abbott|https://d.gr-assets.com/authors/1341365230p2/29593.jpg]— and that's a good thing. I love Megan Abbott. I even created a Megan-Abbott-adjusted star system for my review of The Song is You; reading it so hot on the trail of Dare Me, and Queenpin. But, that also means that you're sitting there, reading tension-filled from page one. You see everything through the blurry lenses of the before and after, despite the fact that you don't yet know what happened. This book is not Dare Me for gymnasts, and Dan Schwent's review does a great job of telling you why. In fact, I actually vacillated in my feelings about the timing of this book's release, which, of course, leads into the opening of the Olympics— though the twistedness of the world she creates is not about the what so much as it is the how. My point being that I don't think this is meant as a commentary on something inherent to gymnastics. This definitely lands on my half-baked reviews shelf— but, I couldn't keep one tangentially related image out of my head, and I've never been one to resist a shout-out to Motherboy. The good news? Prohibition helps women get the right to vote. The bad news? 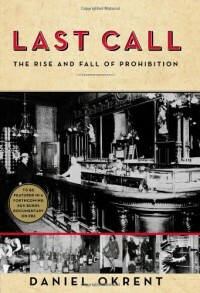 The rise of “saloon economics,” racism and anti-immigration thrive, and people were poisoned by The Jake. 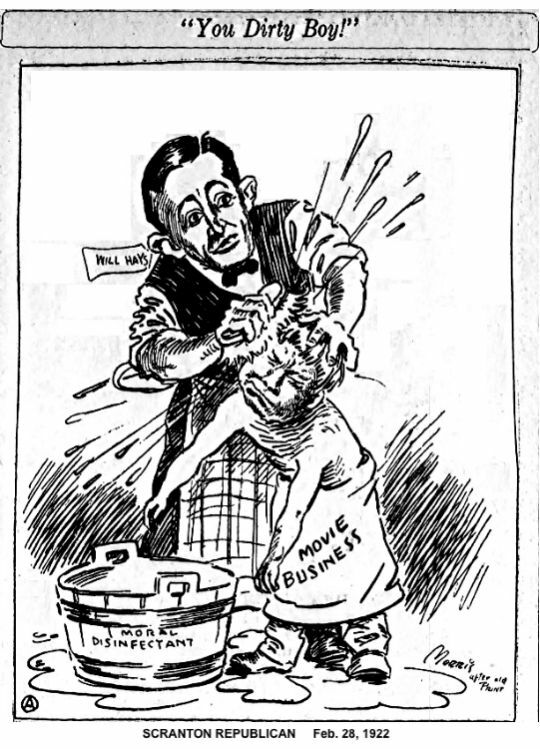 Also, we've got some serious inaccuracies in our “Prohibition mythology,” including Malory's take on the lawfulness of Joe Kennedy's lucrative spirits-importation business, which was actually the beneficiary of a nuance in the Volstead Act (I'm sure it will come to a shock to everyone that the rich fared better than the poor). Well guys, I think I've discovered a real up and comer in the field of behavioral economics. Wait— what's that? He already won the Nobel Prize in Economics?!? Ok, so maybe I'm not the first to catch on to the brilliance of Alvin E. Roth (damn those Swedes for always being one step ahead of me). Roth's fellow laureate, Lloyd Shapley (above, R), co-wrote a seminal paper on similar tricky transactions (those involving “indivisible” goods, without the use of money) in a 1974 issue of the Journal of Mathematical Economics with Herbert Scarf. The Scarf Shapley paper established a set of cyclical trades called “top trading cycles” in which all parties are ideally matched. I'm sure the paper is totally brilliant, but before you jump up to find a copy, just remember that, for most of us, it's…well, I'll let GOB tell you. So what's all the fuss about market design? Even if kidneys are the last thing on your mind, the challenges overcome in order to make the market: thick (by attracting lots of buyers and sellers), quick (time is of the essence, and congestion is to be avoided), and safe/secure are fairly universal. Ok, let's try this new knowledge on for size. Perhaps in a case that's not so far to one side of the commodities—matching market spectrum. You've got your product (say, a metric tonne of it, meaning 1,000 kilos), which means you're looking for someone who wants what you have (supply, demand, nothing fancy here). What problems could a marketplace possibly have? Well, kind of a lot. In order for things to run smoothly, you have to have the right amounts of: thickness (players at the table), speed, security, and simplicity. Humans, the unpredictable sneaky lot of us, pose a wide array of challenges to marketplaces and market designers. For one, there's the trust factor (security). 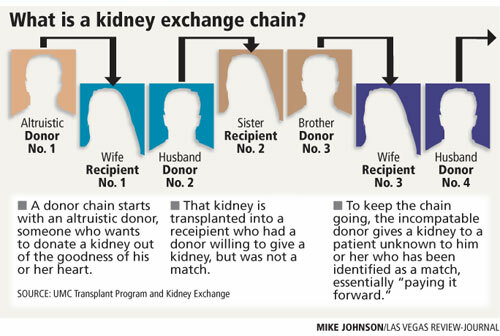 Even with kidney swapping, they had to deal with scheduling “simultaneous” surgeries, for fear that, once a donor's patient partner had received a kidney, the donor might later renege on the offer. Though this fear turned out to be pretty unwarranted, the point is that you can't just take people at their word (or palabra, if you will). With “commodities” this often takes place by way of quality control. In fact, without quality control (think grading of flour, or maple syrup) commodities markets would have to be "matching markets," which would be highly inefficient. 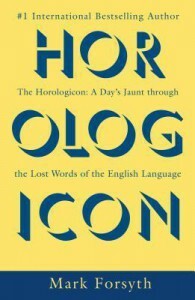 I'm a bit rusty in the art of reviewing books right now, and, though this may not mark a triumphant return for me, this read moved me enough to put that aside. 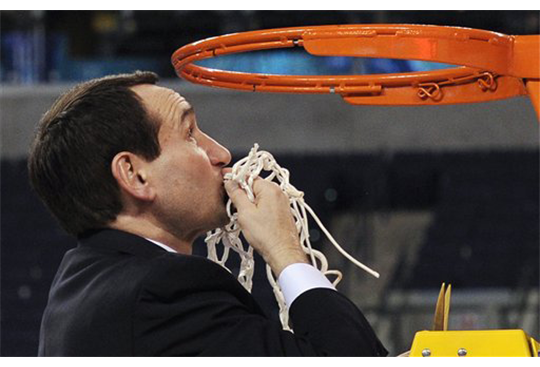 John Feinstein is a prolific, and talented sports writer, particularly in the college basketball world. This time last year, with the Madness of March fast-approaching, I read his Last Dance: Behind the Scenes at the Final Four and found it underwhelming, to say the least. 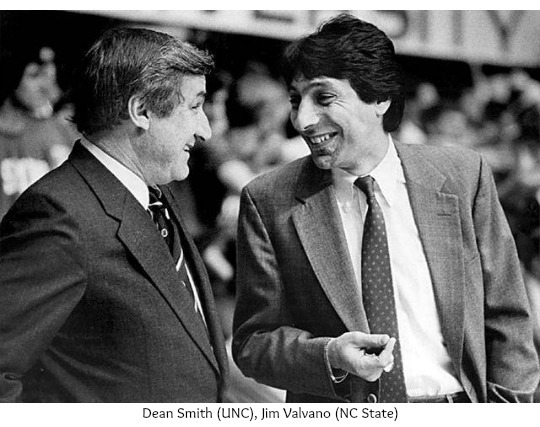 However, I can't help but think that some of that had to do with bits and pieces of this book, The Legends Club: Dean Smith, Mike Krzyzewski, Jim Valvano, and an Epic College Basketball Rivalry, that Feinstein struggled to keep at bay. Why? Because this is the book that Feinstein has been destined to write ever since he first met UNC coach Dean Smith circa 1976, back when Feinstein was an undergrad covering the basketball beat for his cross-town alma mater, Duke. 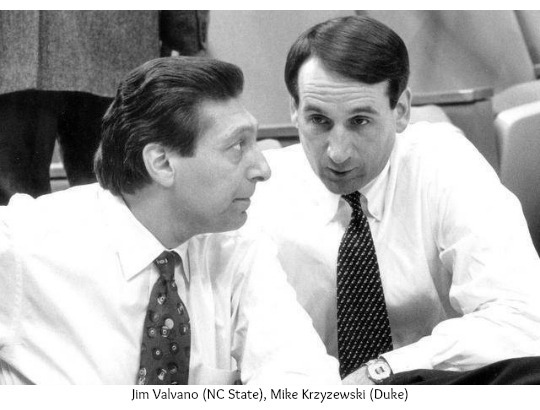 This was a few years before the other members of the eponymous trio, Mike Krzyzewski (aka Coach K), and Jim Valvano, would make their way to North Carolina's Research Triangle, but it's apparent throughout the book, that the seeds of this story run deep for Feinstein. These pictures, of course, fail to capture the nature of their relationships for most of the time: sheer enmity. But, that's what makes this book so special— it captures an arc that we miss when we make "rivalries" out to be all about animosity. 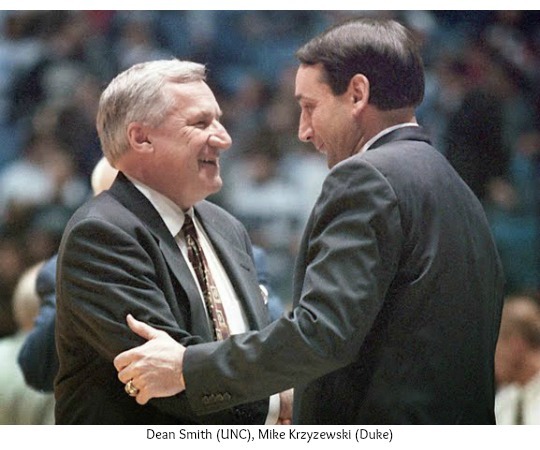 And, though there were plenty of moments that were exactly that, a good, legendary rivalry is also built on mutual respect. 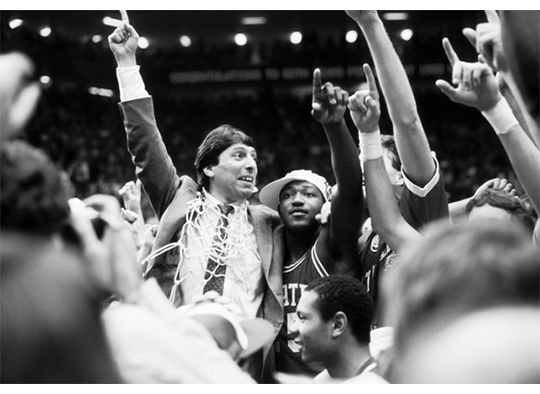 You don't have to be a die-hard Duke, UNC, or NC State fan to enjoy this one. 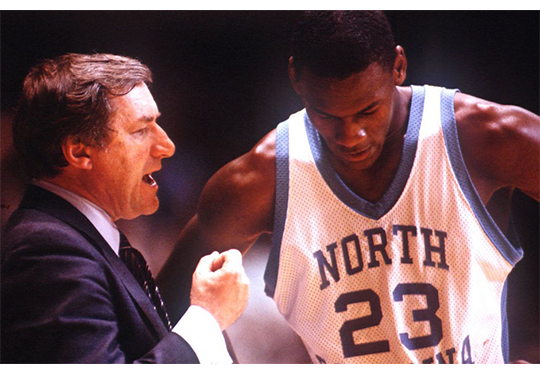 I've always been more drawn to the March MATHness side of Bracketology, and, frankly, wasn't really a sentient sporting fan for the heyday of the clashes among the Blue Devils, Tar Heels, and Wolfpack. Honestly, as I got a bit misty-eyed toward the end of the story, my thoughts went more to likes of Beowulf than to the Sweet Sixteen (which is not to say that Feinstein neglects the basketball at all— he doesn't). 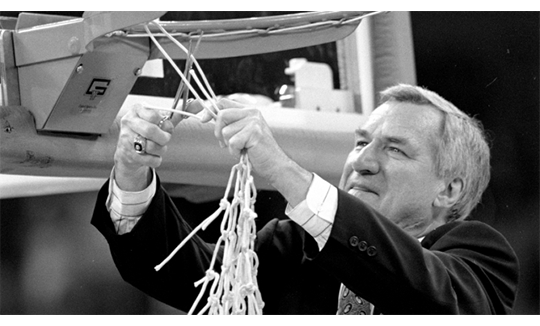 Unless you've been living in an Air-Raid shelter for the past 30 years, I'm not spoiling anything by giving you the parting shots of the victors "cutting down the net" (each a their own time). But, there's no other way for me to close this half-baked review. Fantasy Sports-Loving Audiobook Fans Rejoice! If, like yours truly, you're a lover of fantasy sports (football & basketball for this kid) as well as audiobooks, then today's Audible Daily Deal is almost as exciting as finding out that Tom Brady was fully reinstated, having drafted him in the tenth round for your fantasy league. 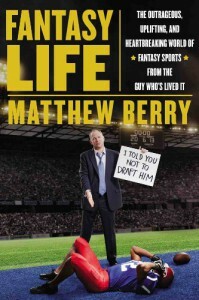 Ok, well maybe not that exciting, but getting Matthew Berry's Fantasy Life: The Outrageous, Uplifting, and Heartbreaking World of Fantasy Sports from the Guy Who's Lived It for less than $3 is still pretty sweet. Fantasy football, fantasy baseball, fantasy basketball, even fantasy sumo wrestling: the world of fantasy sports is huge, and still growing. Today, more than 35 million people in the United States and Canada spend hours upon hours each week on their fantasy sports teams. And as the Senior Fantasy Sports Analyst for ESPN, Matthew Berry is on the front lines of what has grown from a niche subculture into a national pastime. In Fantasy Life, Berry celebrates every aspect of the fantasy sports world. Brilliant trash talk. Unbelievable trophies. Insane draft day locations. Shake-your-head-in-disbelief punishments. Ingenious attempts at cheating. And surprisingly uplifting stories that remind us why we play these games in the first place. Written with the same award-winning style that has made Berry one of the most popular columnists on ESPN.com, Fantasy Life is an audiobook for both hard-core fantasy players and people who have never played before. 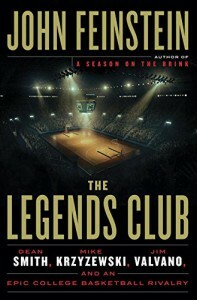 Between tales of love and hate, birth and death, tattoos and furry animal costumes, the White House Situation Room and a 126-pound golden pelican, Matthew chronicles his journey from a 14-year-old fantasy player to the face of fantasy sports for the largest sports media company in the world. Fantasy will save your life. Fantasy will set you free. And fantasy life is most definitely better than real life. You'll see. I don't usually read books (non-fiction or otherwise) over extended periods of time. And, if not for the limitations of library-lending, I might have inched through this one at an even slower pace (giving myself ample opportunity to rock quietly in the corner in terror). Things didn't start out this way. 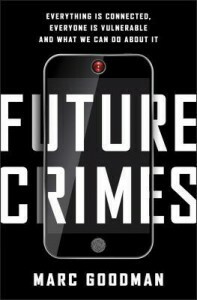 I tore into the first several chapters of Future Crimes: Everything Is Connected, Everyone Is Vulnerable, and What We Can Do About It with my usual aplomb. But there's only so much risk one can absorb before declaring defeat. Author and former cybercrime cop, Marc Goodman, can't be faulted for the breadth of threats out there. However, by the time I got to the What We Can Do About It sections (the last 50 pages or so), I felt decidedly worn down. 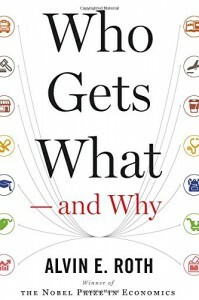 So, take this review with a grain of salt, because it's a good book with a whole boatload of information that's often ignored. Goodman starts off by stating that he is well aware of and for the wonders of modern technology— and I'm with him on that (as noted in my review of Nation of Enemies). It's not about a showdown, but we need to face the changing techno-landscape with an attitude akin to that of Hawaiians regarding the ocean; one of respect and awareness that, while beautiful, it's more powerful than you can imagine, and can have brutal consequences. Furthermore, we need to be thinking about Moore's Outlaws* now (and also yesterday, and the day before that), which will require effort, since we're not used to thinking in exponential terms. Also, said outlaws (and their corporate equivalent, which he refers to as “Crime Inc.”) are already outpacing us in a serious way (the whole Silk Road affair is barely a sneak peek). Things get overwhelming quickly. As nefarious as the DarkNet may be, cryptocurrency and onion routers seem like reasonable precautions once Goodman starts discussing just how little privacy we have, given the digital exhaust we produce just tooling around the regular old interwebs on the daily. With the Internet of Things, we invite more and more connected devices into our home, all of which are apparently quite hackable (though I'm not really ready to start worrying about pedophiles storing illicit images on my Nest just yet). First things first — robots. Though no definition of the term satisfies all parties involved, robots are basically machines that can be programmed to carry out tasks (with varying levels of autonomy). The world is already chock full of ‘em, though not necessarily in a “rise of the machines” kind of way. However, just because the machines aren't thinking on their own, doesn't mean they're not dangerous. Malware and malicious actors aside, the human error and our “in screen we trust” attitude has been and will continue to be a problem. There are plenty of examples, but I think the recent Robot Grabs, Crushes Man To Death incident at a German Volkswagen factory sums it up pretty well. My only beef with the Goodman's treatment of industrial robots is that he kind of neglects Bayesian counterfactuals. It's been awhile since I've read The Jungle, but I'm pretty sure that factory safety was a problem long before Roomba came along. But, the remote threat is new(ish), and, as robots become increasingly autonomous, we've got some serious thinking about Asimov's Laws ahead of us. Cyborg is another somewhat ill-defined term, though I'll go with the definition that doesn't include glasses and/or peg-legs. Goodman's bionics section, “Hackable You,” does discuss the advantages and opportunities presented by these technologies. The problem, as suggested by the title, is that these computers inside of us aren't all that secure— a problem compounded by the fact that updating the hardware involves cutting people open. And then, of course, there are the big fears that could potentially make “Surviving Progress” a tricky feat. Whether we're talking 'bots or 'borgs, a lack of foresight could doom us all. I can't blame you if your first inclination is to throw your hands in the air and declare defeat. Goodman suggests practicing better “cyber hygiene”— a public health approach that actually makes quite a bit of sense. After all, you can't unilaterally protect your information if your friends are running around giving Candy Crush access to their address book, while posting and tagging photos of you on facebook willy nilly (though my advice would be to ditch that friend). This book's probably better than I'm giving it credit for, an easy 7/10 stars, and maybe more once I wrap my head around it all. But the look on Krieger's face, below, pretty much captures my feelings upon finishing. * Goodman's super into wordplay, so brace yourself for that. Welcome to the “Garden of Fantasy Flora” (by Ava's Flowers). Here, you'll witness a bewildering array of plant life from fiction sources both celebrated and obscure. Please heed this warning: there are several ferocious plants eager to take a bite out of you. Also be mindful of this cardinal rule: never judge a plant by its friendly smile! Now take a moment to savor the lush colors, inhale the (sometimes deadly) aromas, and truly enjoy the fruits of the human imagination. Full disclosure: I know the author. (Yeah, I'm kind of a big deal.) However, my persistent resistance against the forces of starflation (not a word, but should be), combined with the fact that I'm simply not that nice of a person (there's a reason no one shows me baby pictures anymore) should restore some faith in my reviewer-ly credibility. 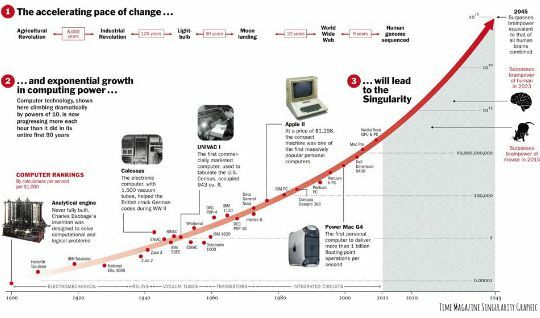 I don't know much about the book biz (I assume it takes more than, say, six-weeks to write, edit, and publish a novel), but I do know a thing or two about Moore's Law and exponential growth. So, I'm pretty confident that there are quite a few elements of Nation of Enemies that were much more “futuristic” at the book's inception than they are now. “House, play acoustic channel” is a real thing that real people say, courtesy of various Internet of Things (IoT) contraptions. I'm no technophobe. * However, innovation is almost always accompanied by risk.† That risk, of course, usually comes in the form of other people. Such is the case in the year 2032– modern day technologies and policies (electronic health records, “embryo profiling,” geolocation etc.) are taken to their extremes, and mixed with a hearty dose of a Brave New World-style caste system, leaving citizens' lives all but dictated by MedID numbers (conveniently implanted into their forearms‡). Oh, and also, it's an election year. So, as you might imagine, the surveillance state is in full swing. One of my favorite things about this book is that it's not a clear-cut case of good versus evil. 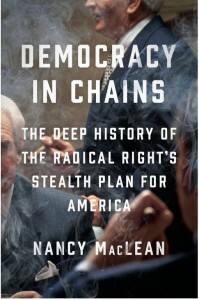 The tension between liberty and security doesn't grow out of malice. Don't get me wrong, you've got some decidedly villainous players skulking around, but it's a world of tradeoffs— decisions have consequences, and there's a selfish side to everyone involved. That being said, certain individuals piqued my interest more than others. Taylor Hensley is a single mother, graffiti artist, and daughter of the Boston Brahmin-esque presidential candidate. Basically, it would be as though Shepard Fairey (of HOPE poster fame) was Mitt Romney's son. Plus, she skedaddles about rooftops using suction cups, which is just so badass. It's actually incredibly difficult to give my two-cents on almost any character without giving something away. Between the layers of deception (there are a lot of them), and my own fickle nature, I ran hot and cold with almost everyone. What separates this book from its catch-me-if-you-can kin is its tolerance for moral ambiguity. In a world of limited resources, wicked problems exist, and these problems have no definitive answers. At one point, a character reflects “How could we have brought another child into this world? What have we done?” And I found myself thinking, yeah— what were you thinking?!? (And not just for the same reasons that I found Baby Hater so gosh darn enjoyable). The story ends, but it doesn't feel like the conversation's over—and I like that. * I'm literally a member of Data Analysts for Social Good. And not just because that makes such great pick-up line. † Pick up a copy of Future Crimes, if you're in the mood to thoroughly terrify yourself with some non-fiction insight into these emerging vulnerabilities. ‡ Though, in this case, said forearms don't seem to feature vanadium bones. Self-righteous parents blaming the media for society's moral decay; young starlets vying for the attention of the same man; a once-beloved comedic icon falling from grace following revelations about his sordid past; celebrities suspected of committing murders most foul; stints in rehab being kept on the DL; overbearing stage mothers; and a news-hungry public with“sanity and sympathy” in short supply watching as it all unfolds. 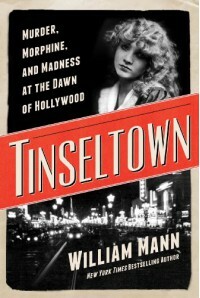 Tinseltown: Murder, Morphine, and Madness at the Dawn of Hollywood has all the makings of an issue of US Weekly (though William J. Mann's writing is, I would argue, of a superior quality). Unbeknownst to me, the 1922 case around which the book is centered has been famous for quite some time, with a dedicated following of armchair sleuths obsessed with each and every aspect of Taylorology (yes, that's a thing). 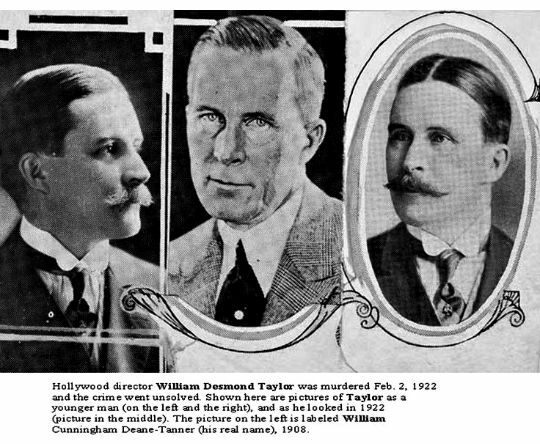 As the headlines suggest, the victim in this case was none other than Hollywood director William Desmond Taylor. 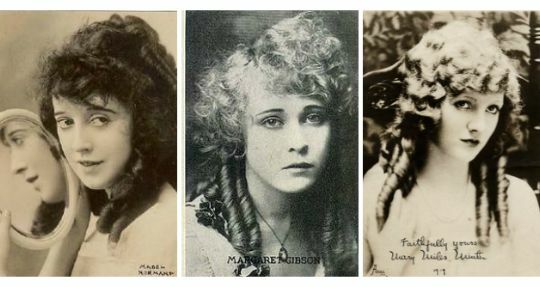 Of course, none of this would be half so intriguing without a lineup of suspected celebrity murderesses, namely: Mabel Normand, Margaret “Gibby” Gibson, and Mary Miles Minter. Each character has a story all their own– secrets, sordid pasts, weaknesses for an illicit substance or two. Like poor little Gibby, who was driven by a promise made to her mother that someday that would “have nice things.” But, it would seem, that (at least as far as “the Church Ladies” were concerned) all of this was pretty par for the course for young starlets in the den of sin known as Tinseltown. After all, they couldn't risk being cast aside for a newer, younger model by gentlemen of loose morals. All of this indignation ties into the larger story of the fight for the very survival of Hollywood, and the men (yes, they were pretty much all men) involved. For me, these pioneering movie moguls (primarily Adolph Zukor and Marcus Loew) weren't all that compelling. However, my heart did go out to poor Will Hays, who was charged with the near-impossible task of “cleansing” the movies of their corrupting content to the satisfaction of producers and censorship advocates alike. 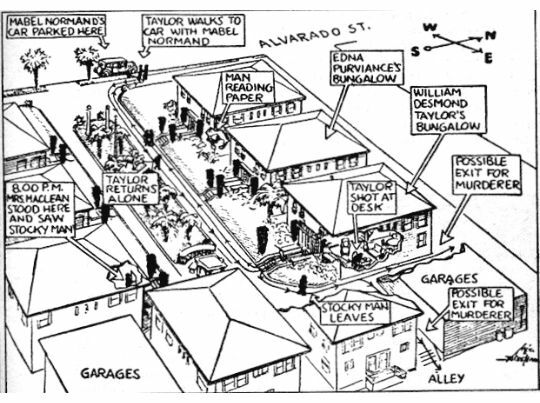 As a Serial fan, I found myself impressed by just how much information has been compiled and assembled about the case over the years (see the map of the who, what and where in Alvarado Court the night of the murder, below), all done without the luxury of a single pinging cell phone tower. A lack of time precludes my giving a more comprehensive tour of all the intrigue involved, but suffice it to say, that if “the Dawn of Hollywood” piques your interest, you won't be disappointed. 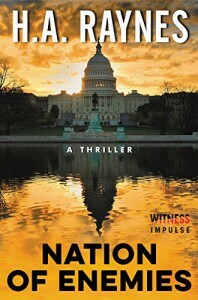 If the definition of insanity is doing the same thing over and over and expecting different results*, then it might seem crazy that I read nine of James Patterson's Private series, despite giving the books consistently lackluster ratings. But, in my defense, 1. they were all free (thanks library); 2. sometimes it's nice to have sort of mediocre mind-fodder; and 3. something has to follow a book that blows me away, and I'm always cranky about my “rebound read,” regardless of its quality. 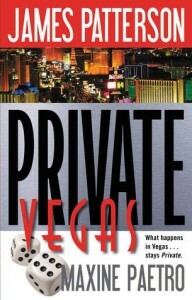 I rarely review these middling books (and this isn't much in the way of a review, I suppose), but the one note I wrote to myself while reading Private Vegas was something to the effect of: “Why all the designer name-dropping? Does Patterson get paid for product placement?” I mean make and model of cars is one thing, but saying someone slinked out of her Oscar de la Renta dress and kicked off her 4-inch Stuart Weitzman stilettos seemed like overkill. * Citation: Einstein (though I'm likely misquoting him). 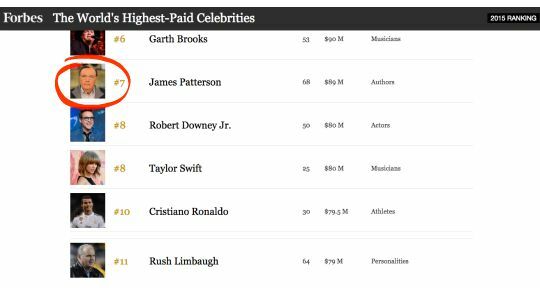 † Yes, I realize it's unlikely that such placements would be the bread and butter of the Patterson fortune, but, still! Think Sling Blade meets Mystic River with a touch of A Prayer for Owen Meany. 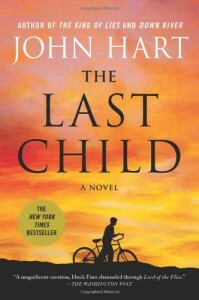 All three are among my favorite movies/books, respectively, but The Last Child made my concurrent reading about the Armenian Genocide feel uplifting by comparison.